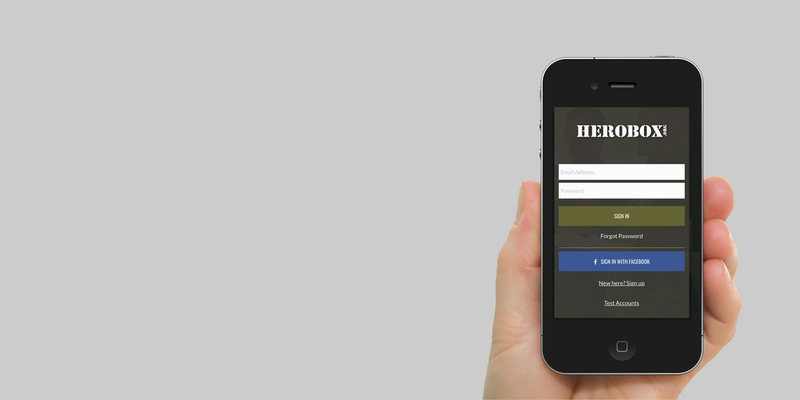 Sponsor a Hero from your phone! Check out this short video to see how easy it is to make an impact! 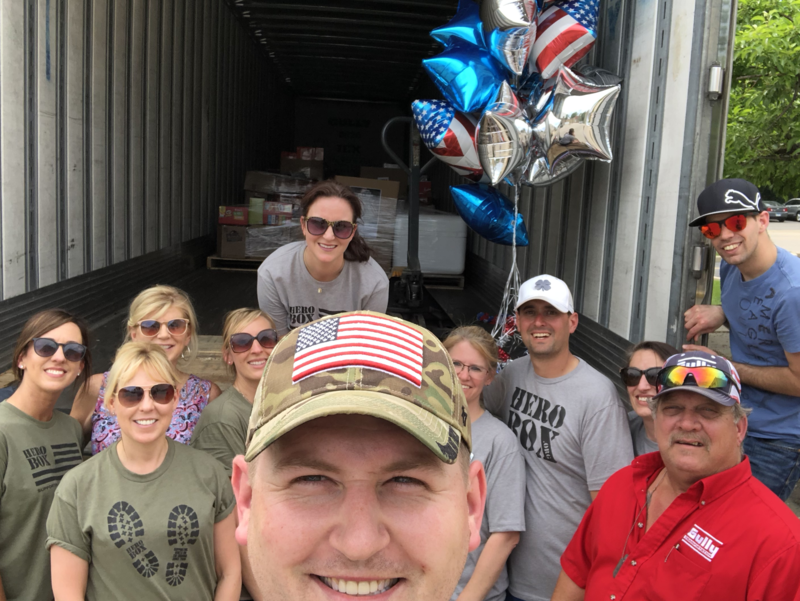 We will connect you with a deployed service member who needs your support! Join us and help support our Heroes! Support our heroes with a generous gift! Our programs are designed to engage our greatest resource... you. Read below to learn how you can get involved. 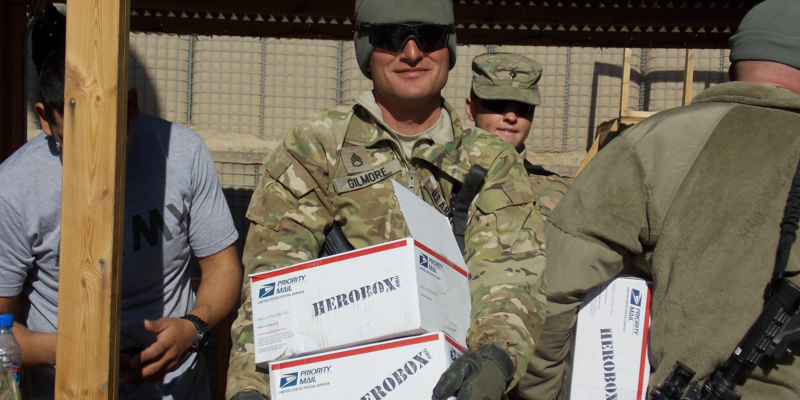 HeroBox will connect you with a deployed service member who needs support. Whether you sign up for 1 month or 12, you will make an immediate impact. 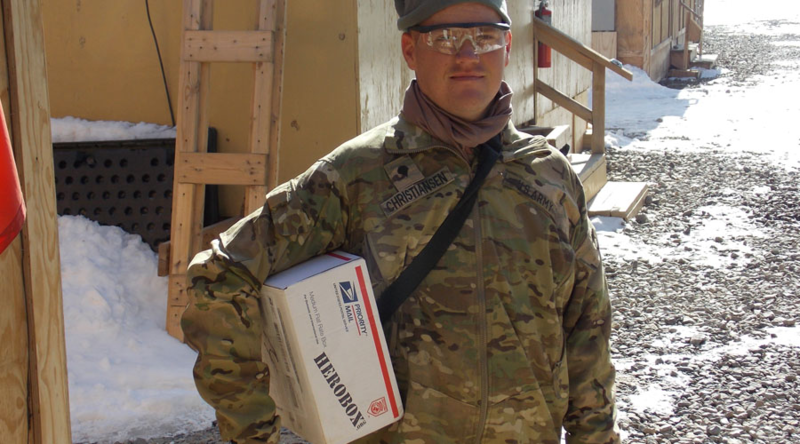 A HeroDay is an event for groups looking to send 10 or more HeroBoxes to deployed heroes. Whether you send 10 or 10,000, you will make an impact. 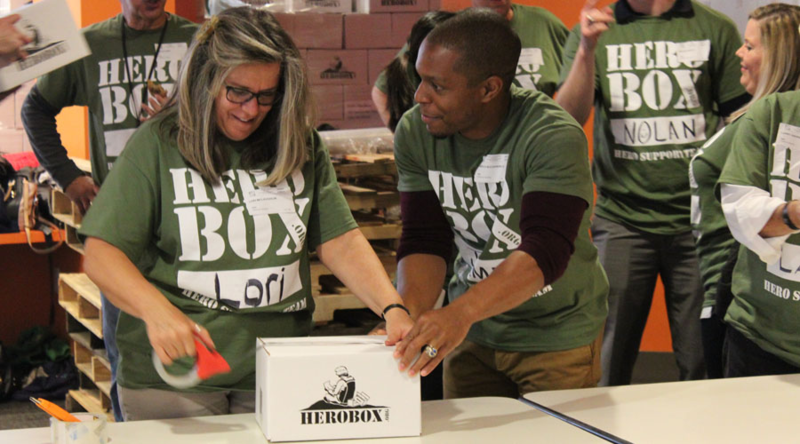 HeroBox is a community driven organization that is powered by your generosity. Learn more about our volunteer opportunities. Marathon sends over 400 HeroBoxes! Mystery Tackle Box Partners with HeroBox! 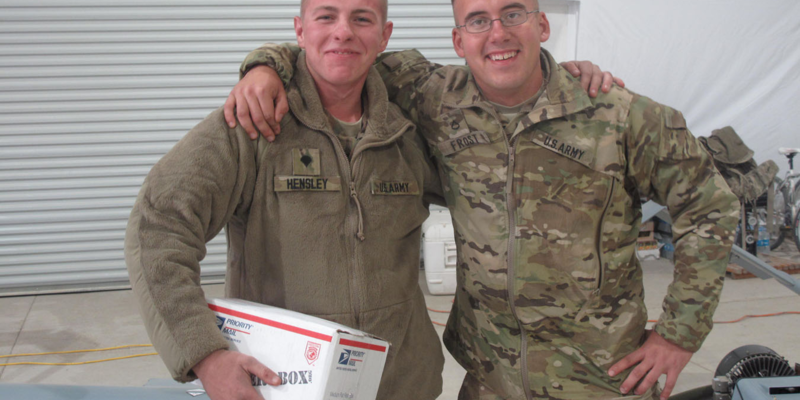 Fiserv sends 150 HeroBoxes to the troops! 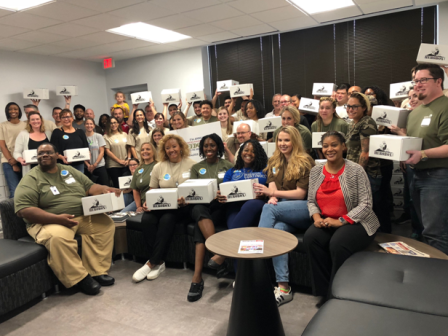 Price Waterhouse Coopers send HeroBoxes to the troops! Fayette Piedmont pack almost 100 HeroBoxes for the troops! 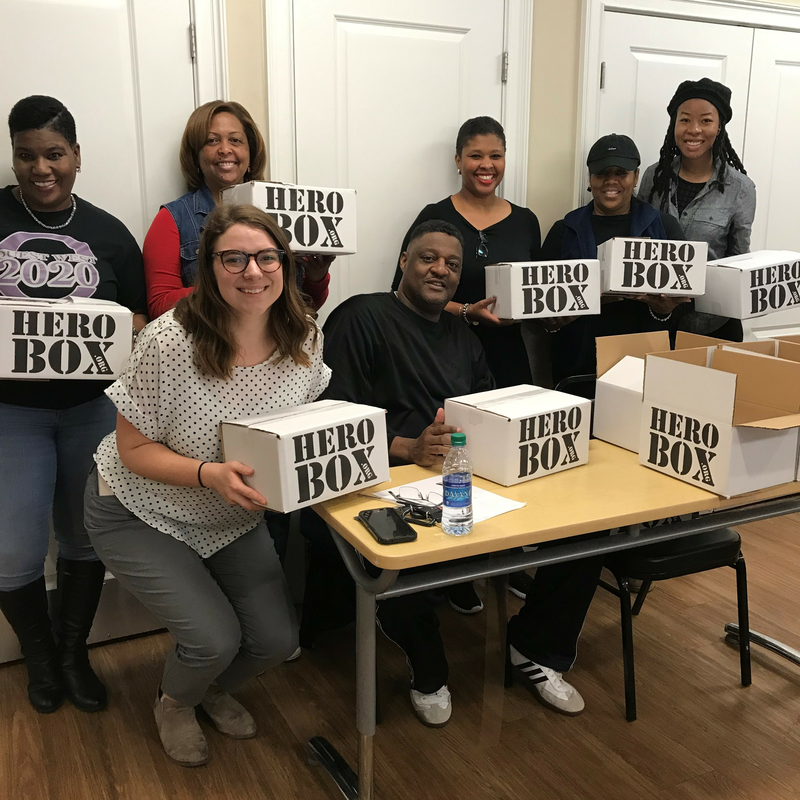 Fayette Piedmont staff joined forces with HeroBox to pack almost 100 HeroBoxes for the troops! The Home Depot FDMM - Southern Division pack 100 HeroBoxes! Sigma Alpha Epsilon are True Gentlemen! Atlanta Baseball Academy supports deployed heroes! 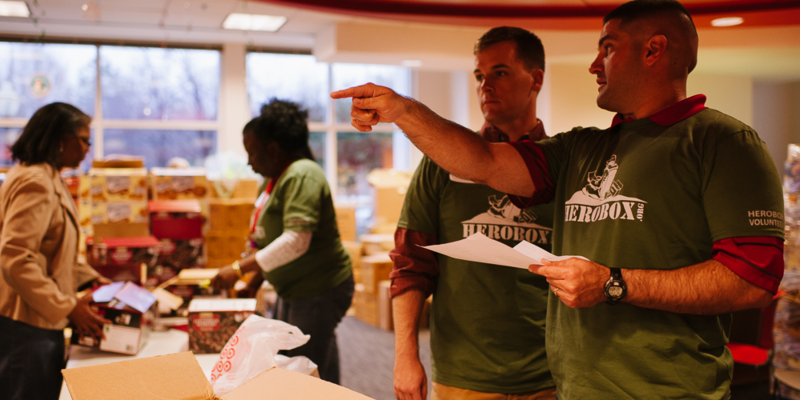 Members of the Atlanta Baseball Academy teamed up with HeroBox to pack and ship dozens of HeroBoxes to the troops! 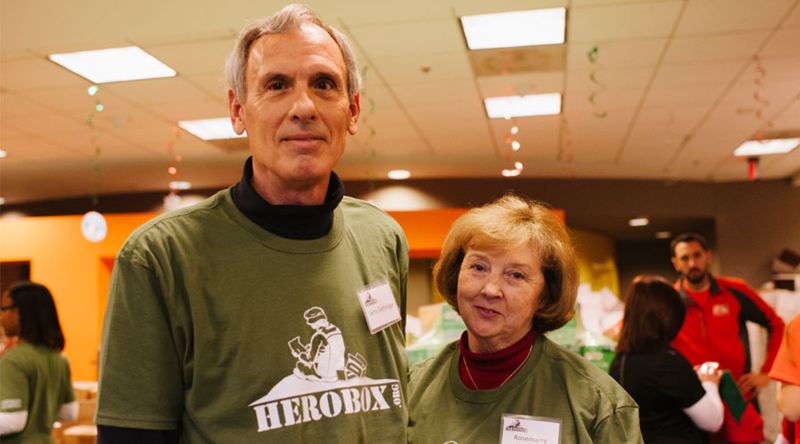 HeroBox and The Home Depot support Homeless Veterans. a positive, direct benefit to our heroes. The HeroBoxes arrived on Friday and it was like Christmas in March!!! I handed them out and I've never seen people so happy! Thank you! Thank you for your generous support of our Soldiers. Your commitment of time, effort and resources to support our young men and women is inspiring to us. Thanks for thinking about us during the Christmas season. May God's richest blessings be poured out to you and the many who contributed to this effort. Thank you for all that you have done on our behalf and for all of the support that warms our hearts. We really appreciate the thoughtful cards and notes and wish you all a very merry Christmas and Holiday Season. I have the honor to serve with the Kurdish People of Northern Iraq. They are a wonderful and hospitable people. They treat us as liberating heroes. They were under heavy suppression under Saddam. They are a smart and promising people. Hero box, made me feel the love of my fellow americans which allowed me to complete my mission. To all the thoughtful caring people who pack and provide all the reminders of home. Thank you from all the soldiers from 2-198 CAB. This means alot to us that there are people willing to support us that don't even know who we are. It really makes us proud to do what we do. I WOULD LIKE TO THANKS ALL OF YOU FOR SUPPORTING US ALL THE HARD WORK THAT YOU ALL PUTING TOGETHER AND THE LOVE FOR US, GOD BLESS YOU ALL.